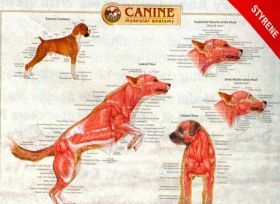 Three of our most popular anatomically accurate charts of the skeleton, musculature and internal organs of a dog. 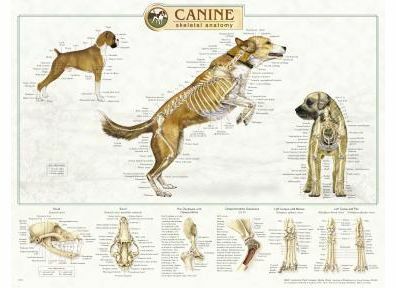 Includes the popular Canine Skeletal Chart, LFA #92515, Canine Musculature Chart, LFA #92520, and the Canine Internal Organ Chart, LFA #92525, Buy the complete set of three (3) Canine Wallcharts above and SAVE! Back in stock and ready for immediate shipment. Shipped in a mailing tube. These detailed and colorful Veterinary wall charts are anatomically accurate and designed for both professional veterinary and educational classroom use. 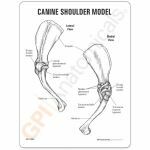 A great educational and illustrative aid for vet office display, vet tech or owner education, trainer/breeder and for classroom use. Laminated for durability and long life. Durable plastic laminate, offers flexibility, durability and attractive appearance for veterinary professionals, patients, students and other specialists. "Write-on, wipe-off" surface is perfect for classrooms and professional offices. Quantity prices available. 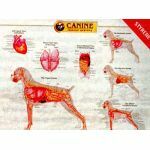 Buy the complete set of three (3) Canine Wallcharts above and SAVE! 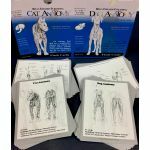 We also stock the popular Feline Skeletal Chart, LFA #92530 and the Equine Skeletal Chart, LFA #92535. 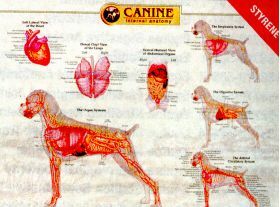 Visit our Home Page to download a hard copy of our new 2010 Veterinary Products Catalog and Fax/Mail Order Form.